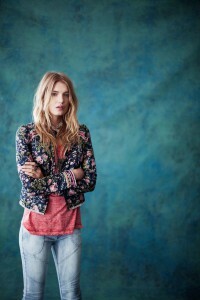 Free People’s January 2013 catalogue looks more like a Spring lookbook with all the floral prints and details and flowing silhouettes. The brand’s boho style doesn’t completely exclude the latest trends like floral prints and patterns. The catalogue is full of romantic pieces including summer dresses and decorated tops paired with denim jumpsuits and shorts…. Free People created a fabulous November 2012 catalogue with help of models Anais Pouliot, Martha Hunt, Andreea Diaconu, Liza Golden and Leaf, photographers Anna Palma and Chadwick Tyler, and of course, some dreamy outfits that create a holiday atmosphere in the shoot. The catalogue full of dressy statement pieces that would make great holiday looks….